A NATIVE SOUTH FLORIDIAN, ADAM WAS BORN IN HOLLYWOOD, FL AND RAISED IN PLANTATION, FL. ADAM ATTENDED THE UNIVERSITY OF FLORIDA WHERE HE EARNED A B.S. IN POLITICAL SCIENCE. HE THEN EARNED HIS JURIS DOCTOR FROM NOVA SOUTHEASTERN UNIVERSITY. Adam is admitted to practice in all Florida courts as well as the U.S. District Court, Southern District of Florida and U.S. District Court, Middle District of Florida and focuses exclusively on the representation of injury victims and their families. Adam’s education, work experience and passion to pursue justice provide him with the necessary skills he needs to be a zealous advocate on your behalf when preventable injuries occur due to the negligent acts or omissions of other. As an attorney at Justice Law, Adam represents victims of personal injury involving auto accidents, motorcycle accidents, trucking accidents, slip/trip and falls, nursing home malpractice, medical malpractice, wrongful death and products liability. Adam also represents individuals involved in maritime accidents and admiralty law including boating accidents, jet ski accidents, cruise ship claims, Jones Act & Crewmember claims as well as cases involving the Death on the High Seas Act. Since joining the firm, Adam has helped recover millions of dollars on behalf of clients who have been wronged due to the negligence of others. Outside the office, Adam enjoys staying active, traveling and most importantly, spending time with his wife and family. Adam is an EAGLE member of the Florida Justice Association and an active member in various other organizations within the community. During law school, Adam served as a Summer Associate in the catastrophic injury and medical malpractice division of one of the top insurance defense firms in the state of Florida where he gained invaluable experience through the representation of insurance companies and large multi-national corporations. 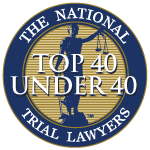 Recognized for his exceptional oral advocacy skills, Adam was also an active member of the Nova Trial Association. Early in his legal career and prior to joining Justice Law, Adam again gained significant experience in the litigation division of an Am Law 250 defense firm where he represented individuals as well as private and publicly traded companies on a variety of complex civil litigation including auto accidents, premises liability, wrongful death, medical malpractice, catastrophic injury, nursing home/health care litigation, construction litigation and homeowners association litigation. Since joining the firm, Adam has assisted in the recovery of millions of dollars on behalf of his clients. In 2016, along with Cam Justice, Adam obtained the 27th largest jury verdict in the state of Florida for 2016. The total verdict of $6,656,000.00 was rendered by a Palm Beach County jury in a case arising out of an automobile accident that shattered a Boca Raton family claiming the lives of two individuals and injuring multiple others. Adam is admitted to practice in all Florida Courts as well as the U.S. District Court, Southern District of Florida and U.S. District Court, Middle District of Florida. In keeping with the Justice Law standards, Adam’s track record clearly demonstrates his dedication and persistence to produce outstanding results for clients of the firm.